The Chalet, just outside of Dunbar, provides a great holiday experience. Built in 2017, the timber building is finished to a high standard with a great deal of thought having gone in to making it a very accessible experience for everyone. With three bedrooms, a full wet room, a bathroom, lounge area and accessible kitchen you've everything you need to have a relaxing time as you sit on the accessible veranda and enjoy the spectacular views out to sea. Set in the countryside this is somewhere that really requires you to have your own transport. That said, you could come by train and then get taxi out to the farm if you wanted to. 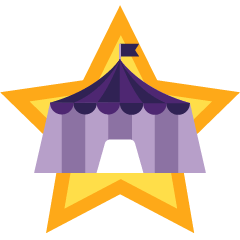 The reason I wanted to award five stars is because the parking has been considered in that it is a hard finished surface big enough for four vehicles and is immediately next to the Chalet. No trekking over gravel or heading along paths or obstacle courses to get to the door. If you want to take up the challenge and explore the farm you can easily drive from one part to another. The Chalet and the farm are only a short distance off the main A1 road so you are well placed for getting to the local sights and attractions, as well as popping to the supermarket for the essentials. Access is obviously core to the whole experience that the Chalet offers its guests. From arrival at the car parking area adjacent through to the gentle ramp, wide doors, lowered surfaces, great vies and feeling of spaciousness it ticks so many boxes. I found moving around easy with my powerchair. The rooms are easily big enough for more than one wheelchair user to be holidaying here. The entrances door and internal doors were all level access and wide. There were no unexpected thresholds or lumps and bumps to get over. The three bedrooms were all large enough to wheel into and the 'dedicated' accessible room was great. It had twin automatic profiling style beds, a fabulous ceiling hoist covering the beds, the bedroom space, and on into the wet room. There was plenty of space - we had two wheelchair users in the room at one point with bags of room. The main hall links the rooms and was wide, bright and light' the natural finish of the timber adding much to the atmosphere. The main wet room was large enough for a 'party' and it was great to discover a Closomat loo! The other bathroom was equally spacious and conventionally fitted. That said, I was able to wheel in and could use the loo and hand basin easily if I wanted to. The main lounge had plenty of windows with great views and a doorway out to the veranda. You had a choice of dining tables in that you could sit out and enjoy the view from the veranda or opt to sit inside around the large wooded table. The kitchen was integral to the room but with so much space it felt quite natural. With dropped counter, mobile units, knee space under the cocker and the sink as well as lowered oven it offered everything I'd be looking for as a wheelchair user if I decided to have a Jamie Oliver moment! The overall feel and accessibility was great in that you could, just for once, forget about all the Access stuff as it simply worked and concentrate on how you'd enjoy your holiday! The wet room was spacious, bright and well appointed. A Closomat toilet was an unexpected bonus. Alarm cords had been installed in the wet room, and bedroom, and gave reassurance that you could summon help if needed. The fixtures, fittings and colours used in the wet room were all modern and stylish without any hint of clinical or medical. If I'm honest - I was a tad jealous as I'd love a wet room like that at home! The hosts, Kay and James, were great and obviously proud of what they had achieved. They were keen that people had a great stay at the Chalet and encouraged people to enjoy the country way of life. Nothing was too much trouble. I have visited numerous self catering places but this is one of the rare ones where I 'felt at home' and I look forward to revisiting in the future.